Dodge Ram 1500 Requires 6" between tires and frame. 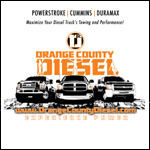 Dodge Ram 2500 and 3500 Requires 8" between tires and frame. Air Lift is focused on providing the equipment to make driving with a heavy load balanced and peaceful. If your original AirLIFT1000 Air Bags become damaged or are compromised, the AL 80265 AirLIFT1000 Front Air Bag Replacement will restore the system to working order. The AL 80265 AirLIFT1000 Rear Air Bag Replacement is made and shaped after the Air Bags that come with the AirLIFT1000 Front Air Spring Kit, and is easily installed. 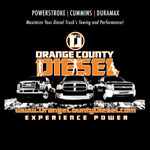 OC DIESEL offers Professional Air Lift 80265 AirLIFT1000 Rear Air Bag Replacement installation.